I just don't seem to have the time to post these days. I will put in the odd offering so I hope you visit every now and again for words of fun and insight of sorts. I did see something today though that seemed to sum up life in Dubai in a snapshot. Driving through Merdif I noticed a delivery van unloading a brand new state of the art plasa TV and its recipient opening his front door in expectation of crystal clear viewing of all the best entertainment that the satellite has to offer. On te other side of the street at that exact moment a couple of guys were going through the dumpster looking for anything worth selling in order to eat that night. It's life Jim but not as we knew it. 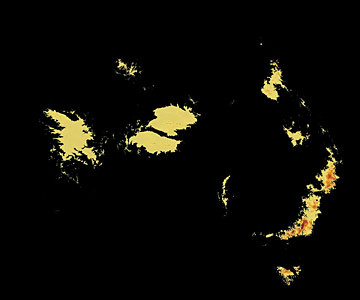 An American academic has created a series of images which illustrate the impact global warming might have on Australia.